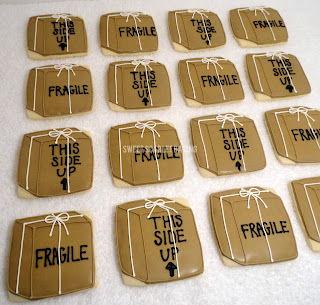 My customer was throwing a retirement party for her husband and requested decorated sugar cookies for the occasion. 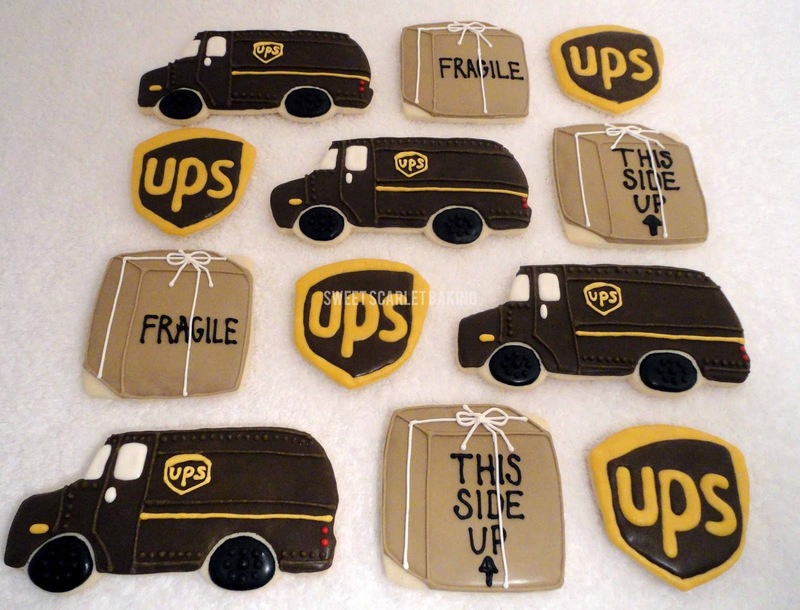 Her husband was retiring from UPS and she knew exactly what cookies she wanted. She even provided the cookie cutters! The assortment would include the UPS truck, the UPS shield logo and an old school box with white string tied around it. I suggested the wording on the boxes and the design was complete. 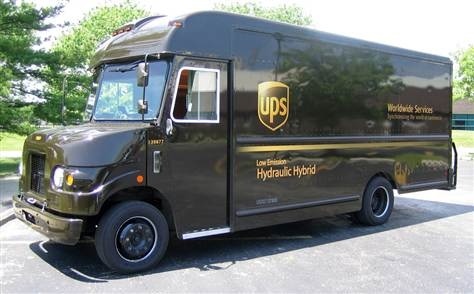 I did some research on the UPS truck and used this image for my inspiration. This cutter was a square, but I designed the box as a cube to make it look three dimensional. This delivery box could also work in my new home gift box as a moving box. Thanks Shannon these turned out awesome. Everyone at the party was talking about them. For those who are wondering they do taste as good as they look. How did you get that cardboard color? 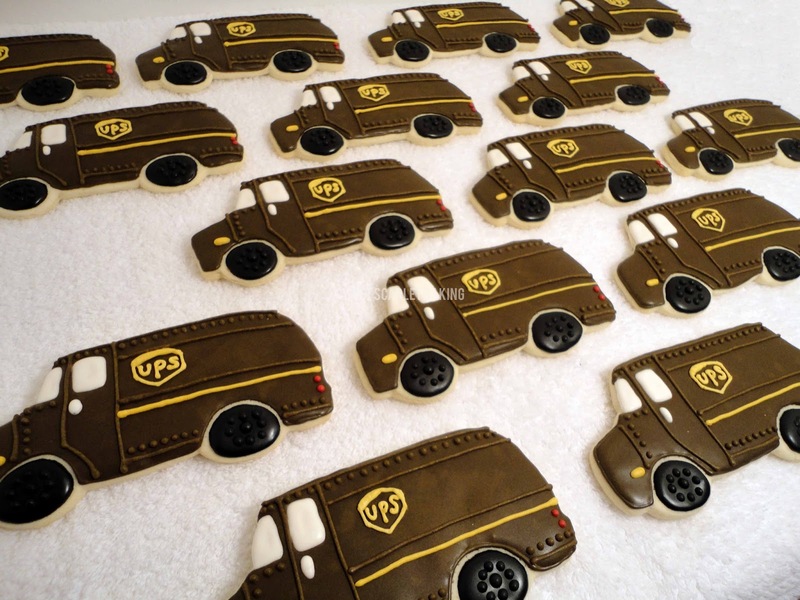 Hi how much for like dozen UPS truck cookies. You are so talented, creative. 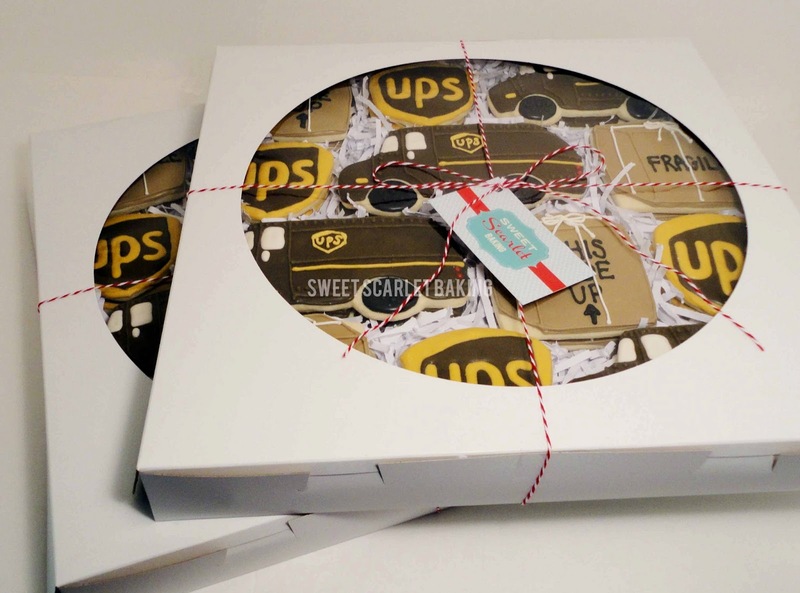 I like your sweet chocolate cake. Keep making more shapes, you will have more customers.